Planned Parenthood was a top trending topic on social media Tuesday – for an abhorrent reason. The Center for Medical Progress unveiled a video which captured a leading Planned Parenthood doctor bragging about selling aborted babies’ body parts for profit. Even more unnerving was that this conversation took place while the doctor enjoyed her salad and wine. Pro-life groups responded to the chilling footage with calls to defund the pro-abortion organization. GOP presidential candidates like Carly Fiorina shared the video with her supporters, along with a statement that defined the undercover footage as "tragic" and "outrageous." Another 2016 contender, Gov. Bobby Jindal (R-LA), even announced he is launching an investigation into Planned Parenthood. Democratic candidates, meanwhile, are mum. News of the Planned Parenthood abortionist’s inhumane (and illegal) practice of selling fetal body parts also made its way to our nation’s capital. One of the most impassioned responses on the hill came from Rep. Martha Roby (R-AL). On the House floor Tuesday she offered a tearful plea to her colleagues that something must be done. Her questions have not gone unanswered. Today, House Speaker John Boehner (R-Ohio) announced Republicans are launching a congressional probe into Planned Parenthood. 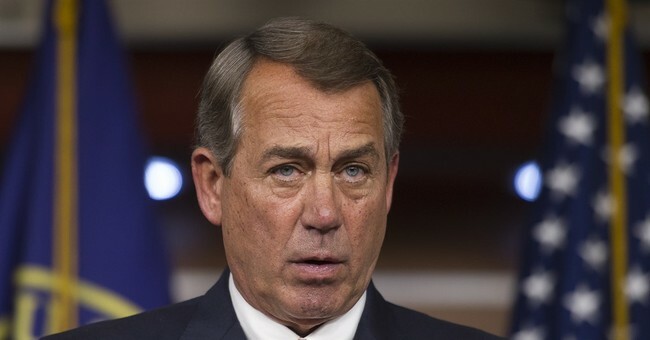 "As a start, I have asked our relevant committees to look into this matter," Boehner said in a statement. "I am also calling on President Obama and Health and Human Services Secretary Sylvia Burwell to denounce, and stop, these gruesome practices." House Majority Leader Kevin McCarthy (R-CA) reiterated Boehner's comments. "I speak for all of my colleagues when I say I was deeply disturbed by reports and video of an organization engaging in such grotesque and inhumane practices." McCarthy said. "I will be working with House Committees to investigate the claims made by the employee. We should all agree that no life is expendable, and our society has no place for such callous indifference to life." One of the committees up to the task is the Energy and Commerce Committee. I would venture to guess that, based on past investigations like this, this, and this, these committees will be shocked by what they find behind Planned Parenthood’s doors. The real question is, once Congress inevitably discovers more of the abortion giant's shameful agenda, will they act to scale back its influence?